A conversation with our Visit Scotland Quality Advisor led us to install a revolutionary type of heating at Craigwell Cottage in Edinburgh: Far-Infrared.Back in July 2016 we had our regular grading visit – a meeting with our Quality and Tourism Advisor, Angie. We’ve been members of the Visit Scotland Grading Scheme since 1995 when we joined for Sandcastle Cottage in Crail. When we bought Craigwell Cottage in early 2007, we aimed to achieve 4-star grading which we have held ever since. This assures our visitors that we have attained Visit Scotland’s standards, and regular inspections ensure that the standards are being maintained. During the discussion with the Resource Efficient Scotland Consultant, she mentioned that she had installed a new type of heating in some rental properties which she owned and she had been very pleased with it. This was the very first time we’d heard of Far-Infrared heating, and it sent us off to do some research. We read the information on the Herschel Infrared site, and watched videos about installation of the heating panels. 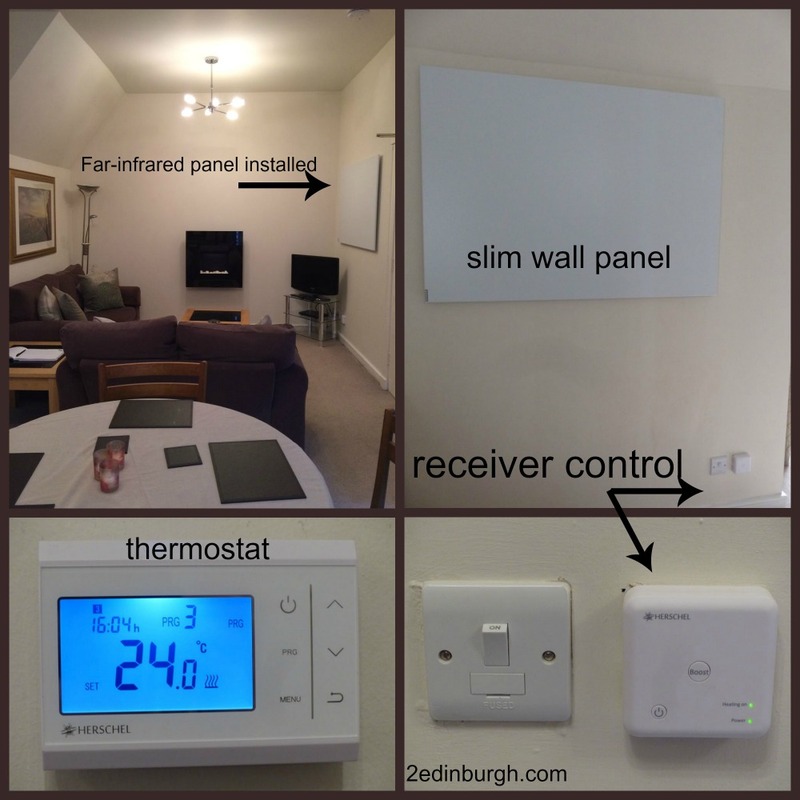 When Allan brought a sample panel for us to try in Craigwell Cottage, it really helped us to understand what the Far-Infrared heating system felt like – it was like being gently warmed by the sun, and felt very comfortable when we were sitting in our living area opposite the panel. One thing we also learned as part of our research was that the panels need to be installed at around chest height rather than at floor level. This took a little getting used to: we had to plan where on the walls the panels were to go. Because we have a holiday cottage, and several of the walls in our upper level living/dining room have a coombed slope, we had to work out which sites would be best and indeed which of the pictures on the walls we would replace. In the bedrooms, it was ideal as situating the panels at chest height meant we would free up some valuable circulation space around the beds as the old storage heaters took up much more room. We will update this post when we have further experience of how the new heating is performing, and indeed when we start to see our heating bills decrease. 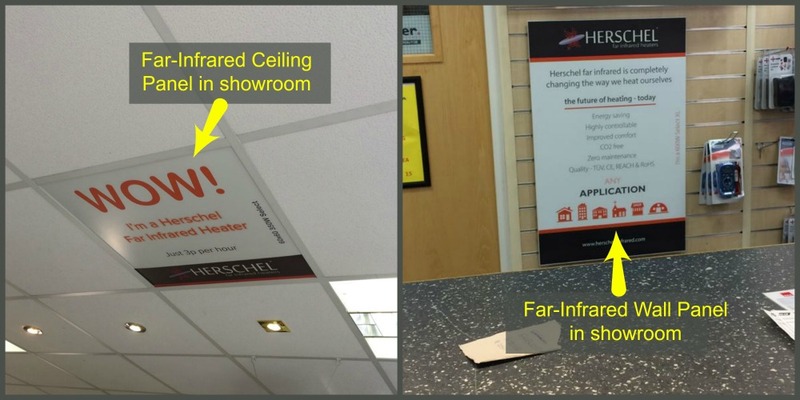 The rough estimate was that we would save around £900 per annum by using Far-Infrared panels instead of night storage heating, which would indeed be a substantial benefit. It would mean a payback period of just over 5 years for all costs of parts and labour incurred. 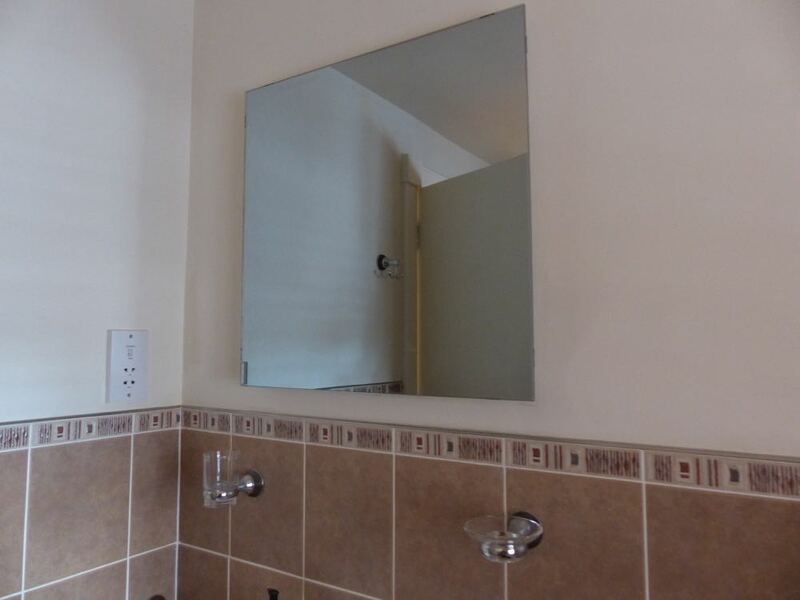 We found that we needed more Far-Infrared panels (7 rather than 5 initially suggested) as we opted to have two in the hallway to heat the upper and lower halls separately, and we opted for one in the bathroom which was not specified by Resource Efficient Scotland. 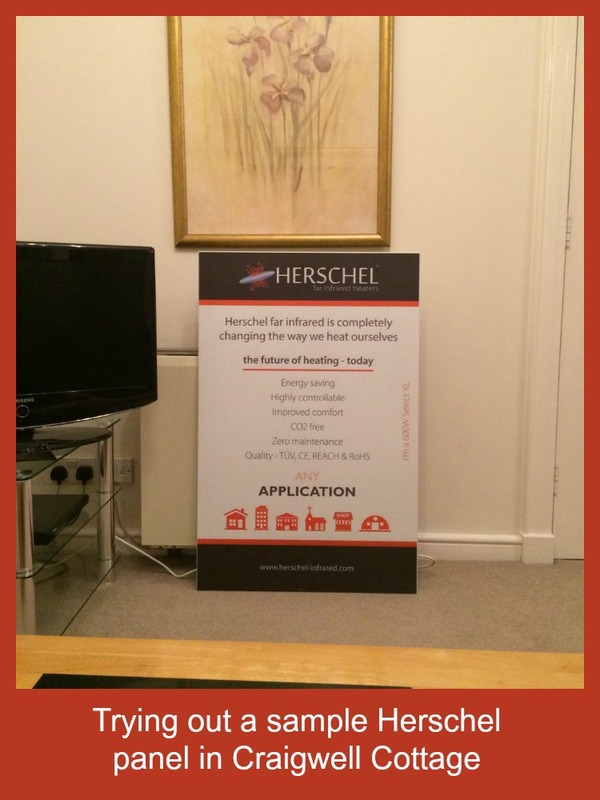 The Herschel suggestion was for 9 Far-Infrared panels, which we reduced to 7. This was partly due to a probable misunderstanding of the layout of our open plan living/dining/kitchen. Herschel had suggested 4 panels in this area, and we opted for two only, although if we find that the kitchen area is not warm enough we can always opt to add another panel here fairly easily. 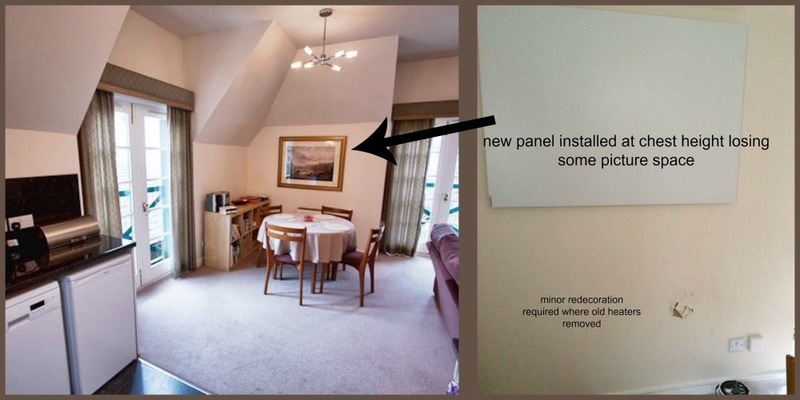 We had considered ceiling mounting panels in the upstairs room, but the height of the room made us change our minds about that as the ceilings are quite high at around 3 m.
We hope that you will find this write-up of our experience useful. Should you wish to find out more about FAR-Infrared heating, please feel free to contact us to ask. We also hope that if you’re considering holiday accommodation in Edinburgh during the winter months, you’ll find our cottage a cosy and convenient place to stay. You might even find us embracing the Danish art of hygge! We’d be very happy to welcome you to Craigwell Cottage (minimum stay 3 nights, sleeps up to 4 people).